Did you know that Pinterest is the 5th most popular website? Did you also know that it outranks Facebook, Instagram, Twitter, and Snapchat combined as shoppers’ social media platform of choice? Heck yeah! I want to start off by telling you a story of how I have used Pinterest to drive massive referral traffic to my blog. For years, I struggled trying to figure out a way to increase traffic to my blog and how to make money blogging. I spent an eternity on Google searching and reading hundreds of blog posts. And weeks implementing the strategies I had learned from these blog posts but it got me nowhere. I was getting burnt out staying consistent on Facebook, blogging, and Instagram for marginal results. I have always wanted to be an entrepreneur and saw a degree as a means to an end and a backup plan in case things didn’t go as planned. Life as a fashion blogger, changed when I left my 6-figure job to get a Master’s degree in business. I no longer had the income to support my blog as a hobby. In fact, I needed to blog to take a 360º degree turn and carry its weight, like seriously! I was working on a project about my blog when my instructor asked me how much I was making from my lovely blog. He was disappointed that “such a lovely blog” was only bringing in peanuts. His goal for me was to change that start making more money before the end of the 8 weeks course. That week, he tasked me with the challenged me get people that I did not know to provide their unbiased feedback about my blog. That semester, I got a lot of feedback from online forums but one contributor’s suggestion jumped out at me. For one, he wrote almost 2 pages of suggestions, single-spaced! And he mentioned that the majority of his last year’s income came from traffic generated from PINTEREST! I was already on Facebook, Instagram, Twitter, Snapchat, and a bunch of other fashion related websites. Now, I had to add Pinterest to the mix which made me feel like pulling out my hair. I already had a Pinterest account that I had abandoned because I did not understand how to use the platform. I printed out the contributor’s comment and took it to class. As I presented my findings, a female classmate added that Pinterest was her Google, and that she uses it to search for shopping ideas. Through the rest of the semester and over the summer, I did more and more research about Pinterest. I learned how to use Pinterest and started pinning and tweaking my techniques every few weeks to see what worked. In this post, You will learn the strategies that worked for me so you can replicate these methods for success. I started using Pinterest with purpose. At the time, I had approximately 3,800 followers. Three months later, I had organically grown my followers to over 10,000. My blog traffic quadrupled. My blog revenue multiplied so much so that it paid for itself several times over. Look at what happened the week of August 29th after implementing all of the strategies. My daily follower growth went off the roof. Snapshot from my Tailwind account. Sometimes follower growth does not necessarily convert to website traffic. Here’s the referral traffic from Pinterest taken from my Google Analytics dashboard. The first thing you need to do is get on Pinterest. 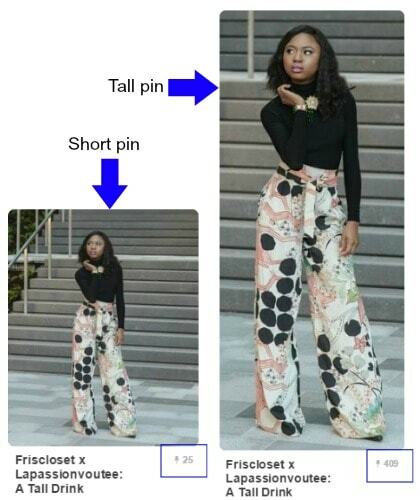 Create a Pinterest account for your [fashion] blog. Try to stay consistent by using the same name you use on all other social networks. If your preferred name is already taken, use an alternative like your blog name or the name readers know you by. It helps with discovery. In addition, link your Pinterest account on your blog. Add a board widget on your sidebar for people to find you on Pinterest. A Pinterest for business account is absolutely free. In my opinion, you absolutely need it to make the most out of Pinterest. It allows me see my top performing pins so I can repin them more often. I can see how my profile is performing, where my audience are located, and what their interests are so I can share more relevant pins. And if you want to promote a pin, you need a business account for promoted pins. 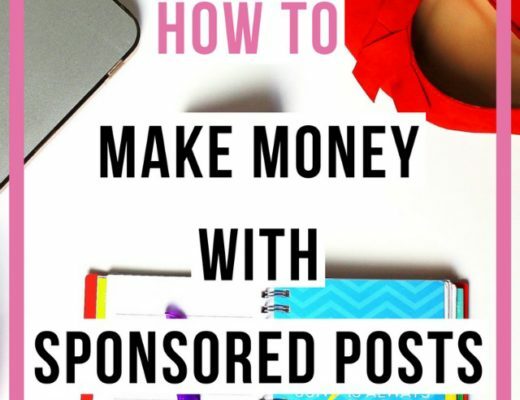 If you have not already done so, click here and follow the instructions on Pinterest to sign up for a free Pinterest account or here to convert your Pinterest account to a business account. I was still on the Blogger platform when I set this up and it included inserting some codes into my template. On WordPress it is SOOOO much easier. This is one of the many reasons I moved from Blogger to WordPress. All you have to do is install and activate the Yoast SEO Plugin. Once installed, go to your WordPress dashboard and click on the Yoast SEO menu. Select the Facebook tab from the drop down. In this section, make sure the Add Open Graph meta data button is enabled (by default, it is enabled). Then visit the Pinterest Rich Pin Validator to validate your blog for rich pins. Add a link to any post on your blog and click Validate. Mine got approved right away but it could take a few days for some people. This post goes into details on how to get verified if you need more help. Images that are rich-pin enabled tend to perform significantly better than plain images. The rich pin automatically gets populated with your blog post title in bold text as well as with your meta description. See example below. In addition, pins that were added before you validated your account also become rich pins within hours. Next, I uploaded a relevant profile photo. To maintain consistency across social networks, I used the same photo on my blog, Facebook, Instagram and Pinterest. It helps viewers to easily recognize you when they spot your profile photo in search results. Then, I added relevant keywords to my name. This strategy makes my name AND keywords searchable. By being searchable you rank higher in search results. Alternatively, you can add your blog name after your name. 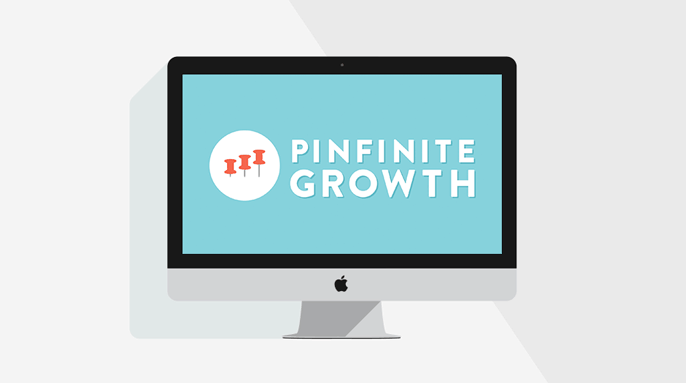 This was a great tip I learned from Melyssa Griffin’s Pinfinite Growth Pinterest course. When those were done, I spent a few minutes writing my personal description for the “About you” section. You are limited to about 160 characters so try to make it as compelling and as succinct as possible. Don’t forget to include the keywords you want to be ranked for here as well. This was one area that I neglected for a little while. Once I realized that verifying my blog will allow me see key metrics about the performance of my blog on Pinterest, I immediately verified it. Pinterest has an amazing article about how to get your website confirmed. You can also see images that have been pinned from your website using this link. This gives you an idea of what people are pinning from your blog. To get more people to discover my Pinterest account, I created a Pinterest board widget that I placed in my sidebar. And added Pinterest profile buttons on my blog and in my email signature, alongside my other social handles. 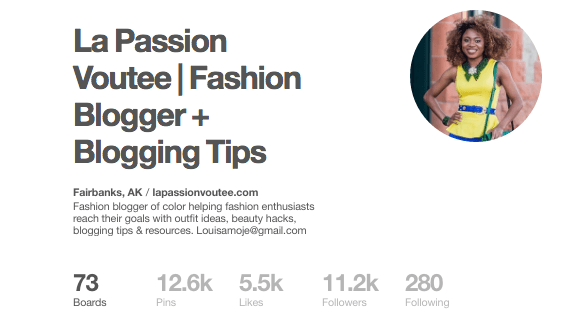 When relevant, I link to my Pinterest profile in blog posts. I installed the Jquery Pin It hover plugin for WordPress to make it easy for others to share my images. I also installed Shareaholic floating share button for social media sharing which also includes a Pin it button. Now that the basics were done, I focused on creating relevant boards. I got rid of boards that did not align with my content. I also created secret boards to pin non-blog related pins that I wanted without it showing up in my followers’ feed. *NOTE: Deleting irrelevant boards could lead to a drop in followers because some people may only be following that board and not others. If that board is not relevant to your content, chances are the person is not your target audience. I lost a few followers when I did this. I started off with about 10 new boards. Create at least one board dedicated to your blog content and nine others that support your blog content. So if you have a style and beauty blog, you will create one to pin all your outfits, one for beauty, 1 for makeup, 1 for dresses,… shoes, coats, fall/winter, etc. I re-arranged my boards to feature the boards I wanted people to see first at the top. My blog board is my most-important board so I had that as the first board to the left since people read from left to right. If you have holiday-themed boards you can move them to the top of your profile as the event approaches. Next, I wrote board descriptions for all my boards just like I did for my profile. This helps with discoverability. Also make sure that the boards are located in the appropriate Pinterest category when you create the board. SEO baby! Although not necessary, I created board covers for my Pinterest boards using Canva. I uploaded the image to each board, then edited the board and selected the pin as the board cover. After creating my boards, I filled them up with high quality pins. These were pins with great imagery and that matched my content. My goal was to get each board to have about 100 pins each. When people visit my profile, they have something to dig their teeth into. I also added pins from my blog that were relevant to the other 9 boards. After creating my boards and filling them up with great content, I went on the hunt to join group boards. Group boards are AMAZING! When you add a pin to a group board, the followers of that board sees your pin. So assuming you have only 200 followers but were a contributor to an active board of 20,000 followers. When you share your content to that board, you expand your reach to the 20,000 followers of that board. Once invited as a collaborator to a board, make sure you familiarize yourself with the board rules. Some boards have a daily limit. Even if a board has no daily limit listed in the description, get a feel for how often people pin by sharing one of your pins then coming back a day or two later to see how many pins have been added after your own. Also endeavor to add a mix of pins from your blog and other people’s pins.What’s a makes a great mix? There is no hard rule, some recommend a 1:1 or 2:1 ratio. It is totally up to you. Pingroupie: This was my go-to place for group boards. You can sort by category (e.g women’s fashion), # of collaborators, # of followers, # of repins, etc. Don’t get hung up on the details. My goal was the repin rate as I did not see the point in getting accepted to a board with 200,000 followers that had 0-1 repin per pin. So, I sorted based on the repin rate. I visited each board and read the requirements by the board owner. Sometime, you have to follow them and send them an email. Typically, the board owner would provide their email address in the board description or in their profile. Other times, there would be an “invitation board” for you to drop a comment to request an invitation. If neither of these work, I visit the board owner’s website/Twitter/Facebook to get their contact information. It’s all about being resourceful! Sometimes you hear from them within a few days. Don’t feel discouraged if you never hear from them. It could be that they receive a ton of requests or they’re no longer active on Pinterest. Pinterest search: Another way to find group boards is to search for the keyword of the board you’re interested in joining. Then click on “Boards”. In the past, Pinterest had a little two-person symbol that indicated that a board was a group board but that feature vanished with the new Pinterest update. Now, you’d have sift through each board to see if there is more than one collaborator. Then follow the board owner’s instructions. Totally worth it if you ask me! Look at those you admire: Got a few pinners you admire? Check out their Pinterest profiles for group boards that are relevant to you. If the board is still accepting collaborators, follow the board owner’s requirements. This is a great way to get invited to quality boards. BoardBooster’s list of boards to join: BoardBooster is one of the Pinterest scheduling platforms that I use (more on that below). You can check out their list of best Pinterest boards to join for free. Facebook Groups: There are are few Facebook groups specifically for group boards. Board owners list their boards that are open to collaborators. You follow their rules and drop your Pinterest email and they send you an invitation. My favorite one is called Pinterest Group Boards. After getting comfortable with Pinterest, I created my own group board, Female Fashion Bloggers. 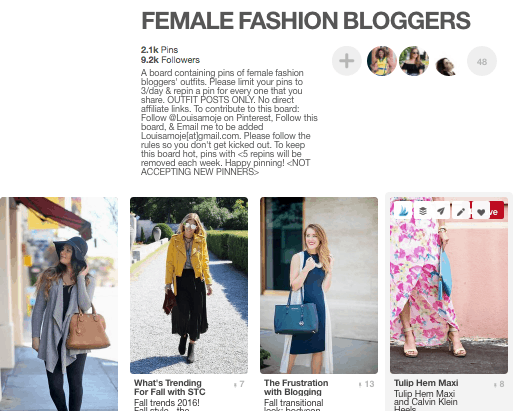 This board brings together some amazing female fashion bloggers together to share their amazing content. 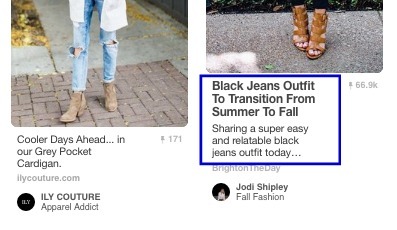 Tailwind has been a major contributor to my success on Pinterest (see Pinning Strategy below). Tailwind is my main Pinterest scheduler. On top of all the amazing features of Tailwind, there is an alpha feature called Tailwind Tribes that connects like-minded pinners together. 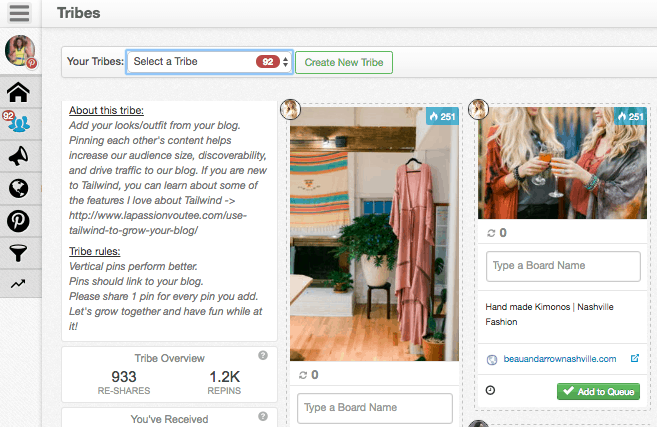 Tribes is a collaborative network of bloggers to share their content to help each other get their pins exposure. The Tribes button will show up in your dashboard when you get accepted to one. I guess it’s Tailwinds way of control-testing the feature before rolling it out to everyone. I joined a blogging-related Tribe but wanted one geared towards female fashion bloggers. So, I created one. Although Tailwind is a paid platform, the Tribes feature is completely free to use – at least for now! Sometimes it only takes a few repins to get a pin rolling for months to come. If you’re a female fashion blogger, you can join my Tribe (request access here). There is no hard-fast rule on how often you should pin. I’ve read that it should be 10, 50, and 100. When I started, it was technically impossible to pin 50 times a day without spamming my followers with the same content. 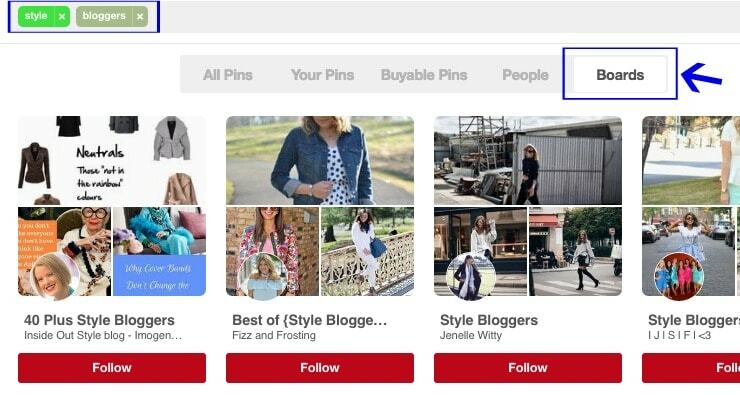 With the new Pinterest algorithm, your followers only get to see a of copy of your pin (so no more spamming). But imagine if someone came to your profile and saw that you pinned the same image 20 times in a row? In addition, I don’t have enough time to manually pin multiple times a day. I tried it and got exhausted after 3 days. So, I signed up for Tailwind and scheduled pins to be posted 10 times a day. I gradually upped the number as I published more content and discovered relevant pins. Then I use the Tailwind button to schedule that pin to be repinned to my remaining relevant boards PLUS other relevant collaborative boards. Tailwind’s “Board List” makes this super fast and easy to do. It is also at this time that I add the pin to Tailwind Tribes and queue other members’ pins. Then would occasionally check my Tailwind dashboard to see what pins are performing well and reschedule them to be repinned. I used Melyssa’s strategy from Pinfinite Growth to Loop my personal boards using Board Booster. Occasionally, I would pay to promote a pin that is performing well. This is one of the perks of getting the free Pinterest for Business account. Sometimes you have to spend money to make money. This gives additional boosts to top performing pins and drives good referral traffic to my blog and earn me more income. This process is a little bit complicated and I don’t fully understand it. I also learned this technique from Pinfinite Growth course. RESULT: Both are rich pins (same image) but check out the number of repins the tall pin has received! A few times a week, I check my Pinterest Analytics to see how my boards and pins are performing. You need a business account to see your Pinterest Analytics information. Combined with the dashboard analytics on Tailwind, I tailor my boards and pins to the interest of my viewers. If you’re wondering how or where I learned most of these strategies, the answer is Melyssa Griffin! I was tired of not getting any results online. I took her course, Pinfinite Growth this summer. 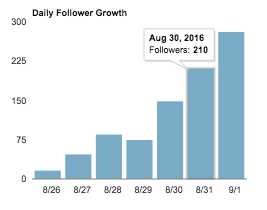 Then the following week, I started gaining 20-40 new followers per day compared to 5 followers per day. I was ecstatic. It took about a month to see the increase in followers and blog impressions (in analytics) convert to blog traffic and subsequently income. It was during her course that I also started looping pins with BoardBooster. Her technique accelerated my growth and traffic even further since I was already using Tailwind. To learn Melyssa’s exact strategy, I recommend taking her course. She goes into details on how she gets over 200,000 pageviews from Pinterest. This course was by far one of the best investments I’ve made for my blog including my decision to move from Blogger to WordPress. I can’t say the same thing for any other blogging course I have paid for. The lifetime access to the video course also includes a very helpful workbook that I used diligently. You also get access to a private Facebook group. 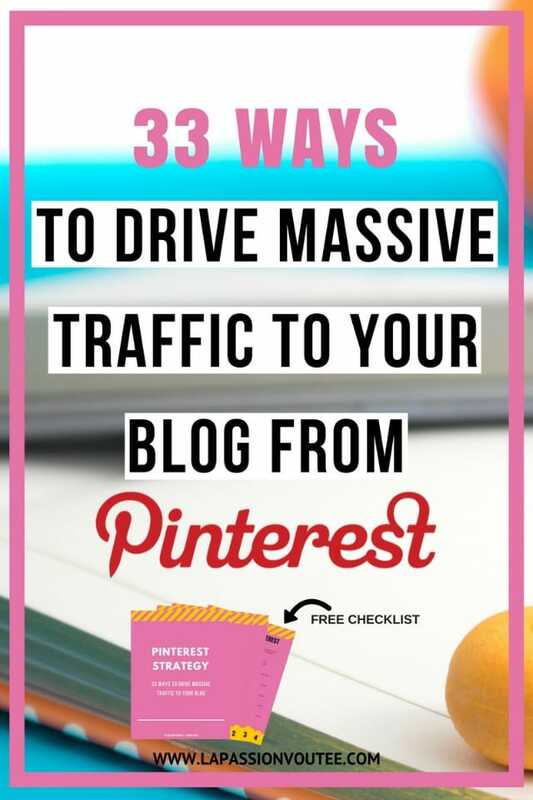 Implementing all of these strategies increased my Pinterest followers to over 10,000, 4x my blog traffic, and my blog income increased drastically. You definitely have to put in the work and give it some time to start seeing result. 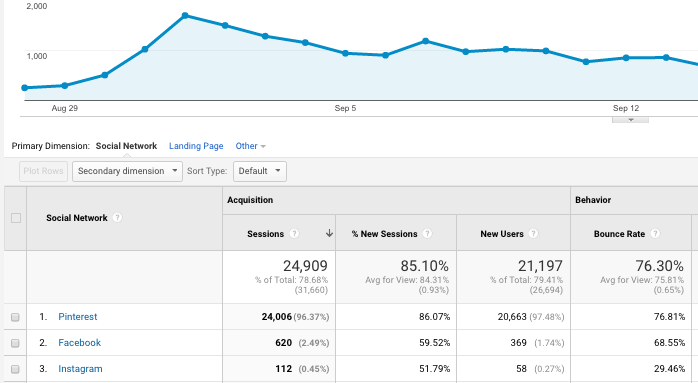 It took about nine weeks to see my traffic skyrocket. Some people even saw results sooner. Feeling overwhelmed? Worry not, I created this ultimate checklist for you to easily check off all the accomplished tasks. It also includes all the tools I use for Pinterest 🙂 Take your time to work on each of the strategies discussed above because only those who take action reap the benefits. Like that contributor who gets a majority of his traffic from Pinterest, Pinterest now accounts for a large portion of my social media traffic and blog income. The great thing about Pinterest is that once you set it up, it becomes passive process. On average, Pinners spend $50 per order—this is higher than orders that come from Facebook and Twitter. I don’t have to worry about whether the algorithm changes on Facebook and Instagram. 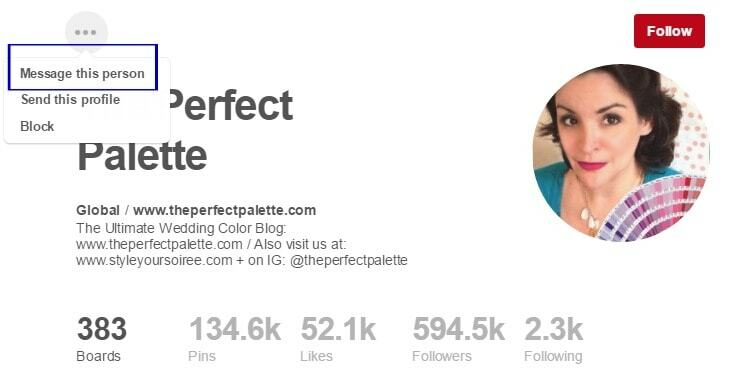 With Pinterest, the half-life of a pin is 1,680 times longer than a Facebook post! This means your content does not get lost in the feed. A single pin from 3.5 months ago can bring you massive traffic today. I don’t have to worry about constantly posting (like I would have to do on Facebook or Instagram). I use Tailwind to automate my scheduling weeks in advance and forget about it. I can then focus my attention on creating amazing content, like this post, and adding it to my Tailwind queue once it goes live. What is Tailwind Tribes? How Does Tribe Help my Content? Your turn! What strategies have worked for you OR what are you going to work on today? Drop a comment below. As always, thanks for reading. I’m still trying to figure out the best way to do things. These are some good tips for Pinterest. Glad you found this helpful, Stella. Amazing tips, Louisa! Appreciate your honesty and being so forthcoming with what’s worked for you and how you’re getting results. I’m implementing some of your advice right now. Thank you so much for this. I’m so ready to step up my pinterest game! 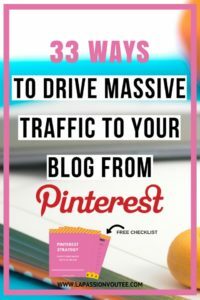 My many thanks for this more than excellent post about getting traffic from Pinterest. I have read many many posts from high profile bloggers and none of them is as detailed and helpful as yours. I respect the fact that you truly help us with more than enough information on the most crucial aspect in blogging which is ‘traffic’ Content maybe king but without traffic, our content won’t be found. I hope with this info I can eventually get some traffic to my new blog site. these are amazing tips! I am definitely bookmarking this! Glad you found it helpful Shelby. These are amazing Pinterest tips! Thanks! Great tips! Pinterest has been my number @ traffic driver for a while now. 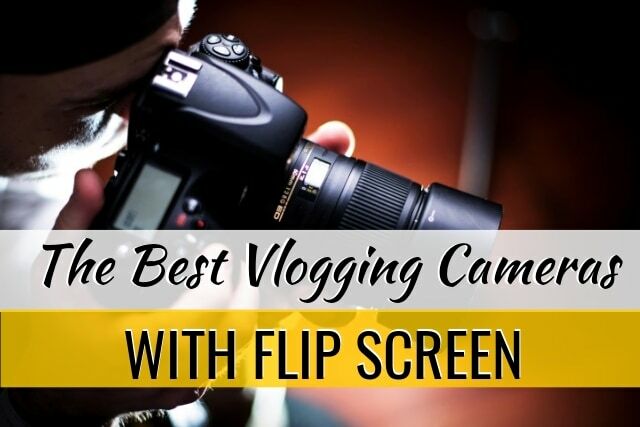 I try to encourage all bloggers to utilize it! Pinterest is where it’s at for sure! Thanks for stopping by. Lots of information, thank you so much! This is one of the best guides I’ve seen on the topic. One thing I didn’t consider before that seems so common sense is to include your keywords in your name. Great tip there that I honestly wouldn’t have thought to do myself!! Thanks for stopping by Elise. I am glad you found this post helpful. Good luck! Thank you SO much for this. This is all I need to get my Pinterest going. Pinning! You are welcome Precious 🙂 Happy pinning! Thank you for this post! I have been scratching my head wondering how I can get more site visits. A lot of these things I have been implementing or at least started the process. But after reading this and driving home that I need to join group boards is key for me. Thank you for all of the detail and explanation of this post! I know it was a bear to type all of this out, but you are about to make others so much better for it! You are the best! This is so great Louisa! Thank you for putting this together. Question for you – what is the major difference between board booster and tailwind? did you use them both for different strategies? Thanks! Both are amazing platforms and it all boils down to what you want to get out of it. If cost is a major factor and you do not plan on pinning more than 500 pins per month, then I recommend BoardBooster. The ability to loop pins which republishes old pins to the top of your board, exposing it to followers who may not have seen the pin previously makes BoardBooster a golden egg in my books. If price is not a deciding factor and you want the flexibility of pinning an unlimited number of pins per month, I recommend Tailwind. The user interface, robust analytics, Tailwind Tribes, Board List, Approved Pinterest Partnership, and tighter control of pins (shuffle, lock, exact date/time to post, and drafts features) makes Tailwind a force to be reckoned with. Yes, I use both of them for different strategies. I use Tailwind to schedule new pins as described in #11 above. I can schedule a week’s worth of pins on Tailwind in about 15 minutes. This is not the case with BoardBooster’s scheduler as you have to manually add the selected pins one by one to a secret board. I use the Looping feature in BoardBoaster to republish my old pins to the top of my board. With looping, I can set the program to delete the pin with lower repins after 5, 7, or more days so I don’t end of with multiple duplicates of the same pin. Because Looping runs on autopilot, I know that even if I get too busy (exams, vacation, work, etc) to add pins to my Tailwind dashboard, my account will still be active. There is belief that Pinterest rewards active pinners by showing their content to more people. I hope this wasn’t too confusing? Let me know if you have ant questions. Thank you for this Louisa! This is probably the most detailed Pinterest tips post I’ve ever come across. You’ve shared so much valuable information here! You are welcome Tiffany! Thanks for the kind comment and for stopping by. Amazing post Louisa! So much useful information. I didn’t know about verifying my blog and enabling rich pins. I did it! But what I really want to do are tall pin. Which tool do you use for that and what are the ideal dimensions for a tall pin? Thank you so much! Thanks Vhyra! For tall pins, I alternate between PicMonkey and Canva and the ideal dimension for tall pins is 2:3 (more details here) but some of my pins are taller. Amazing article! Thank you for your time creating this ? Oh my goodness, Louisa, this is just what I have been looking for – thank you! I have gone through and completed just about every step on here. I still need ro re-read several times but everything was spot on and exttremely useful. Thank you for your help! That’s awesome Lee! I am glad this post was exactly what you were looking for because it is what I hoped I would have seen when I started. You are very welcome and let me know if you have any questions. Good luck! Thanks for this! So overwhelming, I’m doing some of this and not others, so I’m going to start really working on concentrating on the tailwind tribe part of things 🙂 Thanks for the detailed description, overwhelming but super helpful! You are welcome Sarah! I am happy to hear that this post was super helpful. Take your time to implement all of these strategies. Print out the checklist and check off the tasks as you go. In no time you would have finished all of it. Tailwind Tribes a definitely a good place to start. Let me know if you have any questions. You got this! ? Print out the checklist and walk your way through it. You’ll be happy with Pinterest! Interesting. I’m new to promoting my blog, and these are some good tips for Pinterest. I am setting up rich pins right now! Way to go Theresa! Rich pin would help your images stand out more and increase clicks to your blog/website. Good luck! Amazing tips here, thanks so much for sharing! I’ve been reading a lot about using Pinterest for blogging, but nothing as in-depth yet simple as this. I’m glad you found it helpful, Bruce. Thank you! Awesome job, Sam! [Fist bump] Stoked to see that you’ve already taken action. There’s definitely lots to digest in this post so take your time to act on each one as you go. Best wishes! Thanks for these tips! I’m a new blogger so I’m still trying to figure out the best way to do things. You are welcome Melissa. Pinterest is an awesome referral source! Awesome job babe! Thank you SO much for breaking this down! !